Kindly pray that I will finally get the divorce settlement soon from my husband and it will be for the best interest of my 3 year old daughter Kayla Mae. 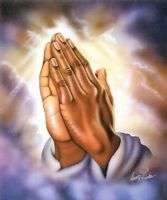 I also want to pray that I can continue doing my job to the best I can inspite of my superiors fault finding attitude. Everyday I come to work with fear in my heart knowing it might be my last since my superiors does not really like me personally and they let me suffer by checking on my every little mistake and make a big deal out of it. Health is wealth...I pray that my daughter,my sister Jing and Yen and the rest of my family including my ex-husband Jan to be free of illness.